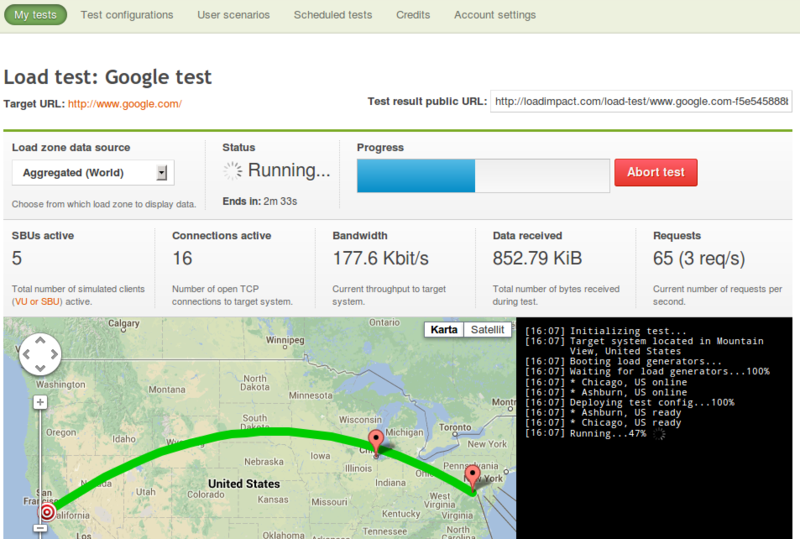 Load Impact is an online load testing service that lets you load test your website over the Internet. It is a true On Demand service, where you can start testing instantly. All you need is a URL and the press of a button to get started. Analyze your test results using our powerful reporting UI. Install the Load Impact Server Metrics Agent to collect server metrics during tests to help you pinpoint server issues. Load Impact is not a bindable service. Log into the Apps Manager. 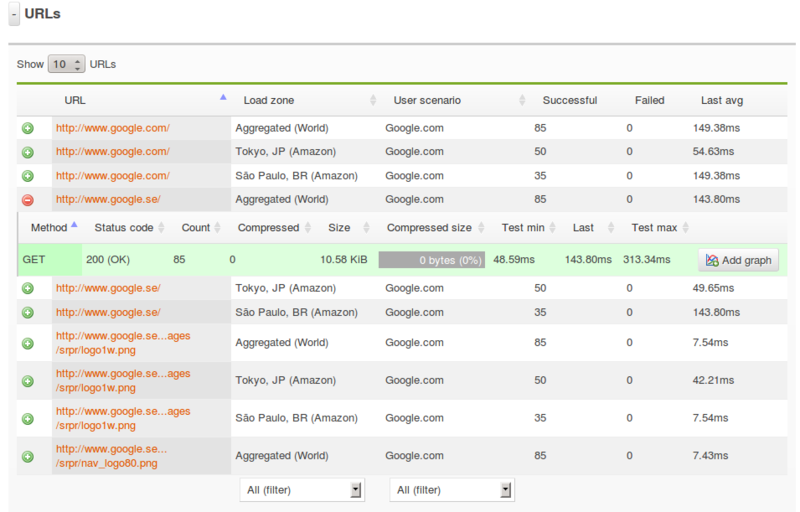 Find your Load Impact service instance on the Space page in which you created it. Click the Manage button to log into your Load Impact account via SSO. You can keep it simple or simulate complex user behavior when creating tests. We will start with the simplest and progress towards the more advanced. Data store Upload a CSV file and get access to the data in the user scenario load script. Great for usernames/passwords, product IDs, URLs or anything really that you do not want to keep inline in your load script. Load script The part of the user scenario describing what this particular kind of user should be doing. Browsing, searching, placing items in a shopping cart or talking to a SOAP or REST API are examples of activities that you can simulate. Load scripts are written in the Lua programming language using Load Impact’s load script API. Load zone A geographic location from where Load Impact can generate user traffic. SBU A Simulated Browser User is a more advanced emulation, than the VU, of how a browser user behaves. Test configuration A specification for a load test; what user scenarios to include, from which load zones to run those user scenarios, how to ramp-up/down user traffic. Test result The results of running a test based on a test configuration. User scenario A load script and optionally an attached data store. VU A Virtual User is a simple emulation of a browser user with only one connection open at the time, no HTTP request parallelism. 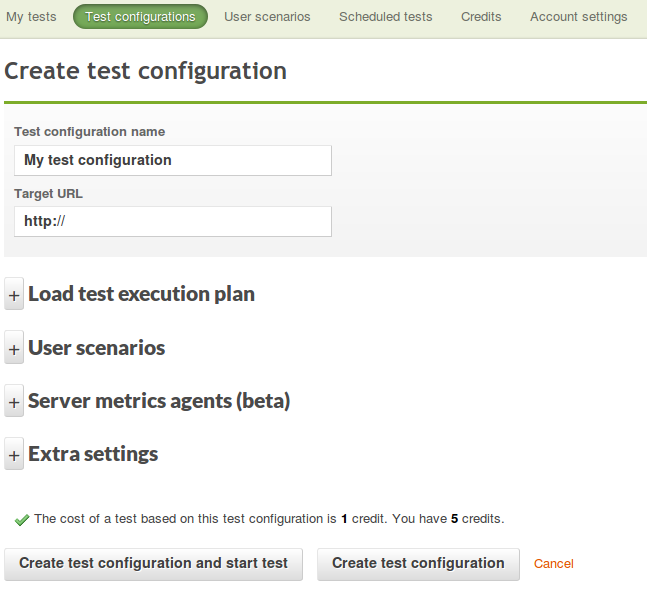 Once on the test configuration page you can change as much or little as you feel like. There is only one mandatory field, the “Target URL” field. Only filling in this field will result in a test configuration with the same settings as the one used to create the test from the “My tests” page. Expand the “Load test execution plan” section if you wish to alter the number of users simulated during the test and how this traffic should ramp up and down. Auto-generation based on page analysis Basically what we have been doing up until now. 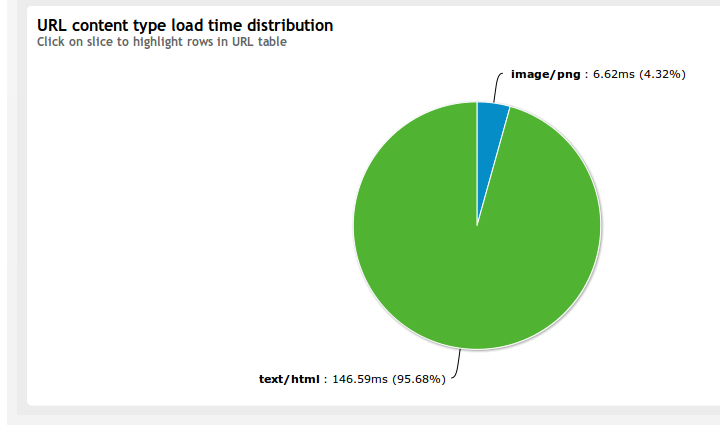 The Load Impact Page Analyzer will analyze how a web browser would load the page and generate a load script for you. Using the Load Impact Session Recorder A HTTP proxy based solution, can be used to record traffic from desktop as well as mobile devices. The recorded traffic is automatically converted to a load script. Writing Lua code Not as scary as it may sound. Lua is a small, easy to use yet powerful programming language. Check out our quick start guide if you need more help. You may create up to 10 different user scenarios (we suggest you keep the user actions short and sweet!) and allocate varying load level percentages for each test. In the example below, we have allocated 70% of the users to simulate “Site Browsing” and 30% of the users to simulate “Login and Purchase” actions. Test results are streamed in real-time from the load zones involved in the test to provide you with an up to the second view of what is happening during the test. The test result page is divided into sections with detailed data allowing you to drill down and find performance issues. The top of the result page gives you a quick overview of how your test is progressing current values for common metrics such as active users, bandwidth and requests/second. All metrics collected during a test are graphable. 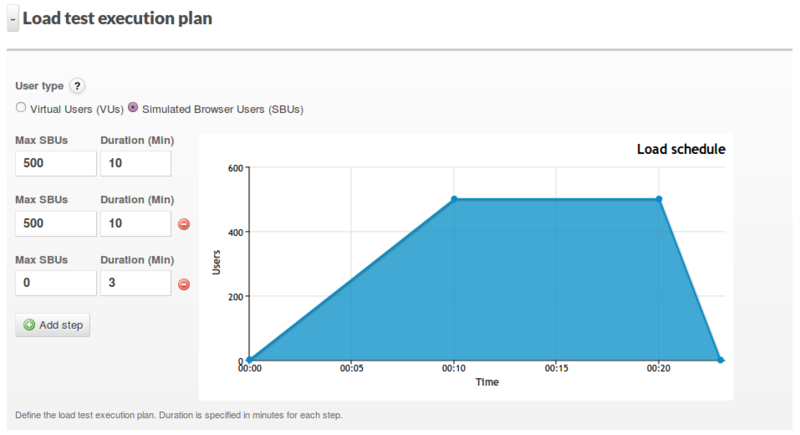 You choose what you want to graph, we have added active users and user load time by default. 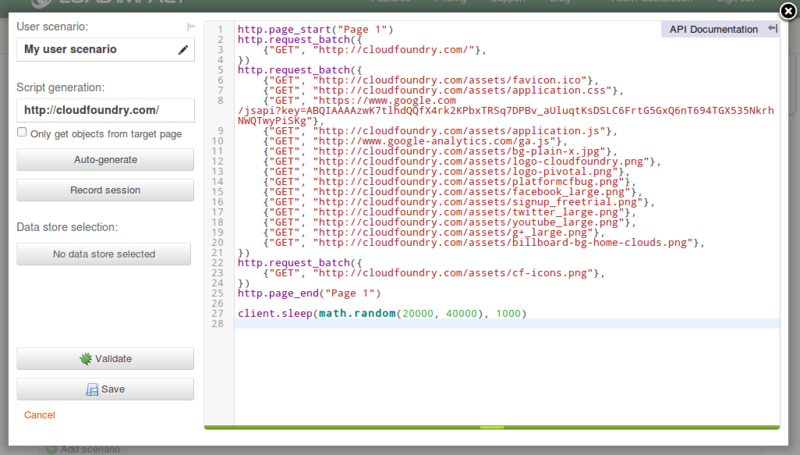 Using our load script API you can also collect custom metrics. These custom metrics could be anything from information available to you from the load script API like SSL handshake time to some metric that you extracted out of transaction responses from your web app’s API. A table with all HTTP/HTTPS transactions performed during a test. Expand a row to see detailed transaction information. Below the table listing all HTTP transactions you will find pie charts breaking down the URLs by content type. Load Impact provides extensive documentation to help you troubleshoot your tests and understand our service better. Our blog also provides case studies, comparison tests and mini tutorials to help you improve your load testing skills. Should you have any questions please contact us through our support center, and make sure you have read the instructions at Contacting Service Providers for Support on what information to include in your support inquiry. Q: Can I simulate users clicking through a series of pages? A: Absolutely! Our free Session Recorder will assist in creating a user scenario that simulates a user visiting several pages on a site. Q: Can I test sites that require logins? A: Load Impact supports both HTTP authentication (basic, digest and NTLM) and HTTP POST operations, as well as HTTPS. Simulating random or unique user logins is also possible. Q: What is the difference between Simulated Browser Users (SBUs) and Virtual Users (VUs)? A: A Virtual User will only use a single network connection when loading resources from a target host. Resources can be loaded from multiple hosts in the same test, however, that will then result in one connection per target host, per VU. Simulated Browser Users, on the other hand, can use multiple concurrent network connections when loading resources from a single target host. Q: I have Google Analytics - How many SBUs should I be load testing at? A: Google Analytics is a very popular means of keeping track of website traffic, but the stats are usually only reported as the number of visits per month. Capturing the peak traffic per hour and dividing that with the time spent on the site allows you to translate monthly visits to actual concurrent users (SBUs). Q: Do Server Metrics agents collect private server information? A: Absolutely not, our agents only collect performance metrics for the specific tests they are selected to run with.